Beleaguered federal employees have taken to the White House’s petition website to challenge the Pentagon’s decision to furlough most of its civilian workforce for 11 days in fiscal 2013. The Defense Department originally planned to furlough all of its nearly 800,000 civilian employees for 22 days, then reduced that number to 14. 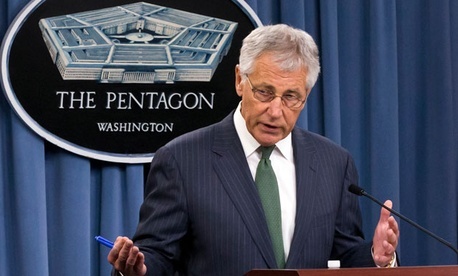 Hagel finally settled on 11 unpaid days off for 650,000 workers, after identifying many exemptions. The petitioners have a long way to go until they get President Obama’s attention; the request has received 426 signatures, more than 99,000 shy of the threshold required to prompt an official White House response. While the Obama administration has not shown any indication it will cancel furloughs before they are scheduled to begin in July, Hagel has left the door open on reducing the number of days once again.